Transit hubs can serve communities in many more ways that just as a place to catch a bus. 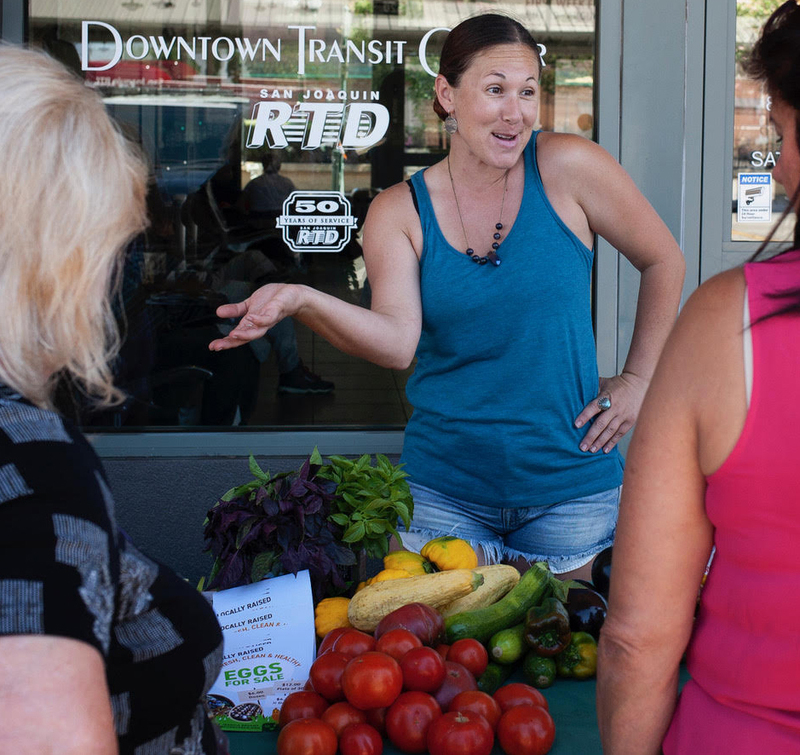 The San Joaquin Regional Transit District (RTD) has embraced this notion by partnering with a local nonprofit to launch a farm stand at its transit center in downtown Stockton, offering locally grown fruits and vegetables for purchase by its riders and everyone else in downtown. “We are always looking to create opportunities for placemaking,” said Emily Oestreicher, senior marketing specialist with RTD. The farm stand will be set up every Thursday from 3 to 5 p.m. With this launch, Stockton joins a list of cities who have found that transit centers and bus stops are good locations for farm stands and markets, especially in low-income communities where fresh produce is harder to come by. Pictured are some of the locally grown offerings from the Boggs Tract Community Farm in south Stockton. Although the transit center is technically not located in a food desert, Oestreicher said that having a farm stand that is easily reached by public transportation opens up access to fresh food to a broad population that needs it. The transit center serves over 7,400 people on 28 bus routes every weekday, so the farm stand can be easily reached by a considerable number of people. “People can ride a bus down to the transit center to buy healthy foods and hop back on to go home,” she said. They can also stop by while waiting for a bus or during a transfer between routes. Jessica Bryant, healthy retail coordinator for PUENTES, the Stockton-based nonprofit that is partnering with RTD on the farm stand, said she wants to make locally-grown, pesticide-free produce available for people, but understands that fresh, organic food can be expensive. To alleviate the higher costs for people who can’t afford it, PUENTES will match up to ten dollars when people use EBT as a form of payment at their farm stand and other pop-up markets around Stockton. Jessica Bryant, healthy retail coordinator for PUENTES, talks to customers at the San Joaquin Regional Transit District’s downtown transit center. Since more than half of RTD’s riders make less than $15,000 a year–according to its 2016 Community Survey–the match was attractive to RTD when it was considering a partnership with PUENTES. The farm stand will also fill a need for Stockton residents who live or work downtown, especially after the Downtown Farmer’s Market closed down last year. “It’s great, especially here where there’s a lot of people getting on the bus to go home and make dinner,” said Lydia Dingman, who walked to the farm stand with her co-workers from the San Joaquin County Assessor’s office down the street. 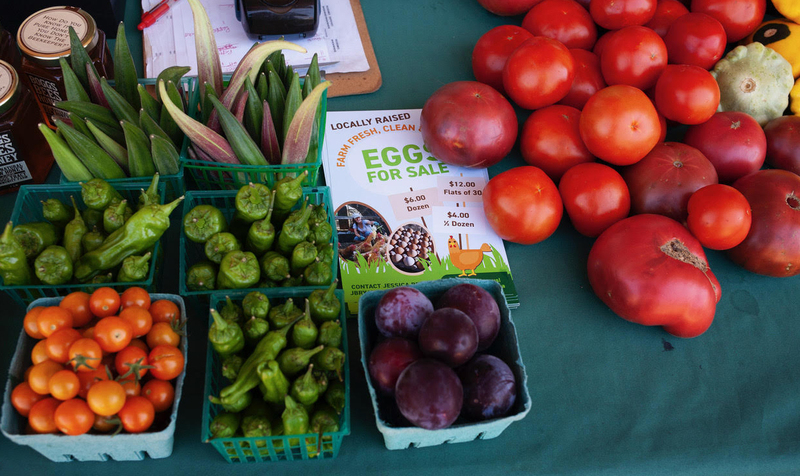 Dingman and other customers looked through the offerings, which included basil, chile peppers, squash, plums, honey, and eggs–all grown at Boggs Tract Community Farm in south Stockton, another PUENTES project. PUENTES also offers gardening workshops for people who want to grow their own produce, and donates food from the farm to local centers and to the pop-up markets held throughout the city. As the transit partnership launches, the Boggs Tract Community Farm, where the food is grown, is also facing financial uncertainty. Bryant and supporters are appealing to the public to help keep it going, and have launched a GoFundMe page. 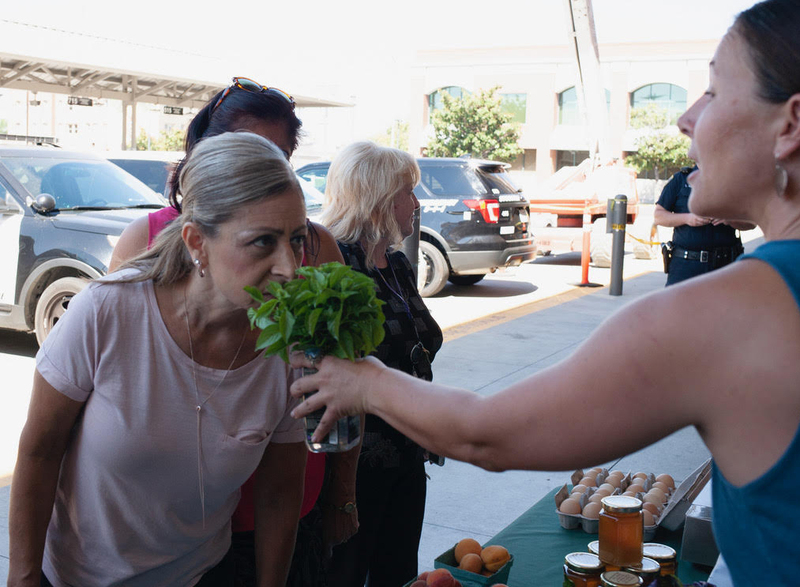 Jessica Bryant, healthy retail coordinator for PUENTES, holds out fresh basil for Cynthia Sanchez, left, to smell. The San Francisco Transit Riders (SFTR) released the results of its "Ride the Vote" survey yesterday.